Look around these days at any car show or race track and you will find some kind of performance vehicle running an LS engine. From the street to the desert to the water, the LS engine has been proven to make exceptionally high, reliable power while remaining compact and light weight. A perfect combination for success. 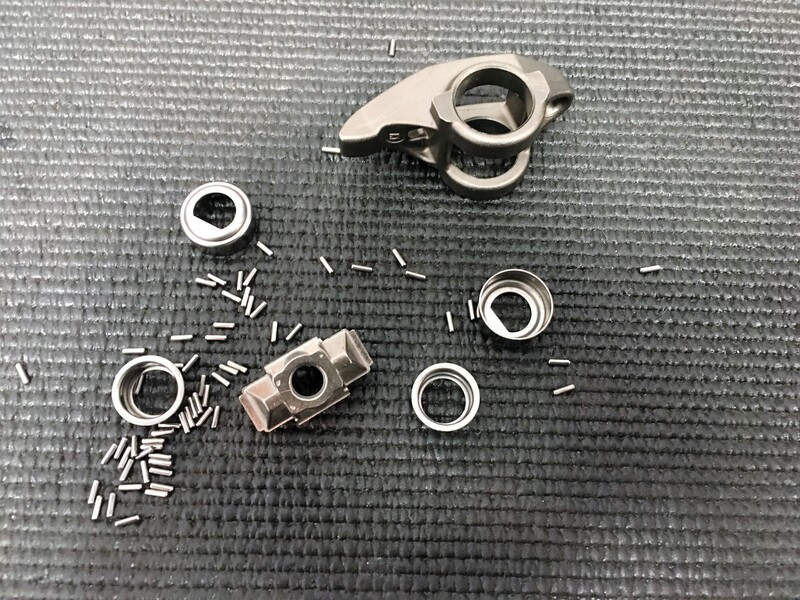 Original equipment LS rocker arms are equipped with needle bearings captured in pressed in cages. On stock engines these have been proven to be reliable and have a very low failure rate. 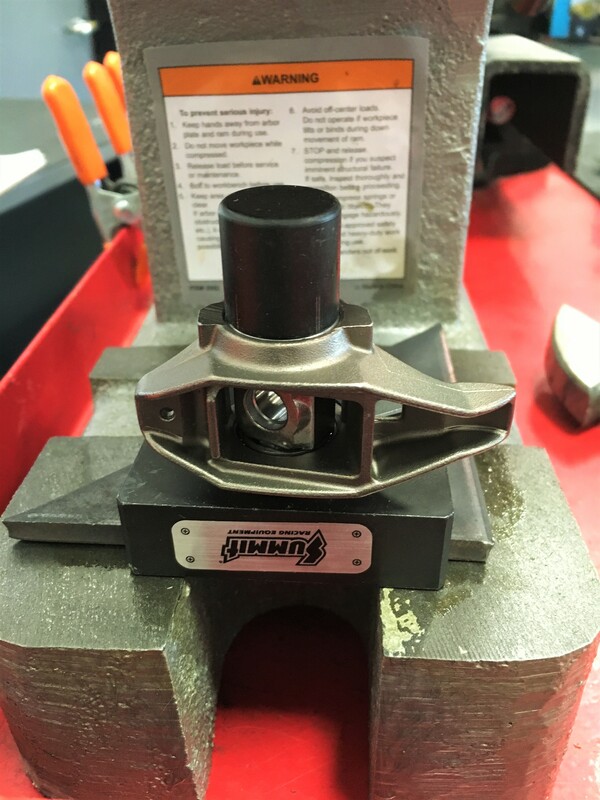 When switching over to a higher lift camshaft this adds additional stress onto every component in the valve train. Higher spring pressures and increased RPM can be very hard on the stock trunnion bearings. 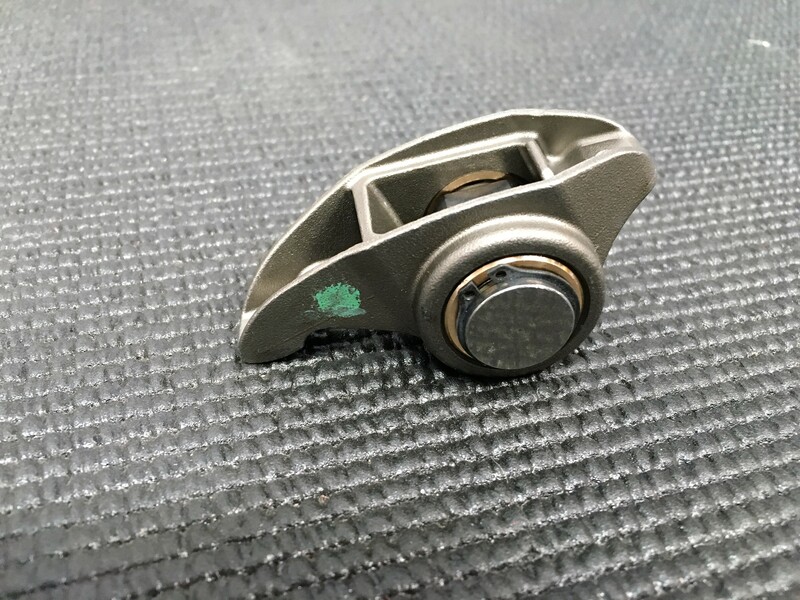 The typical failure entails the cage coming loose from the rocker arm allowing all the needle bearings to circulate throughout the engine risking catastrophic engine failure. 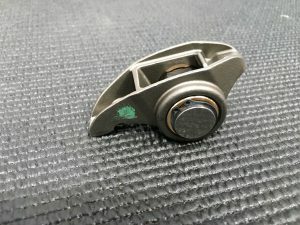 There are a few companies offering an upgrade that replaces the needle bearings then secures them with a snap ring. While this option is a little more secure it still relies on a needle bearing. Straub Technologies has introduced a bullet proof solution for the LS rocker arms. The needle bearings, trunnion and c-clips are replaced with all new components. 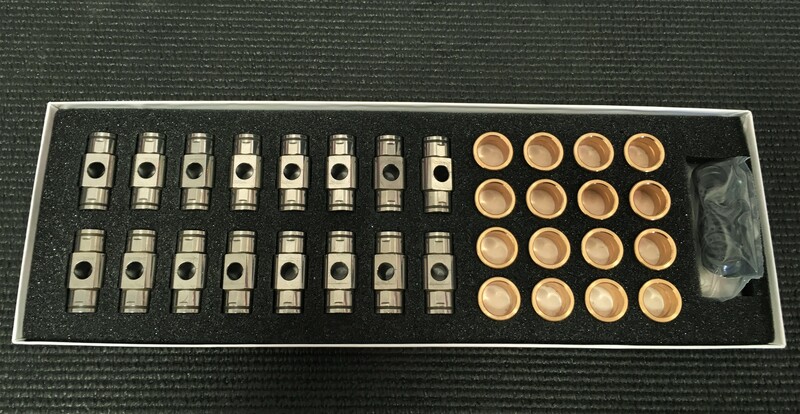 The kit includes bushings made from a proprietary material, trunnions and c-clips. The trunnions have machined grooves in the 10 and 2 o’clock positions to ensure constant oil feed to the bushings. 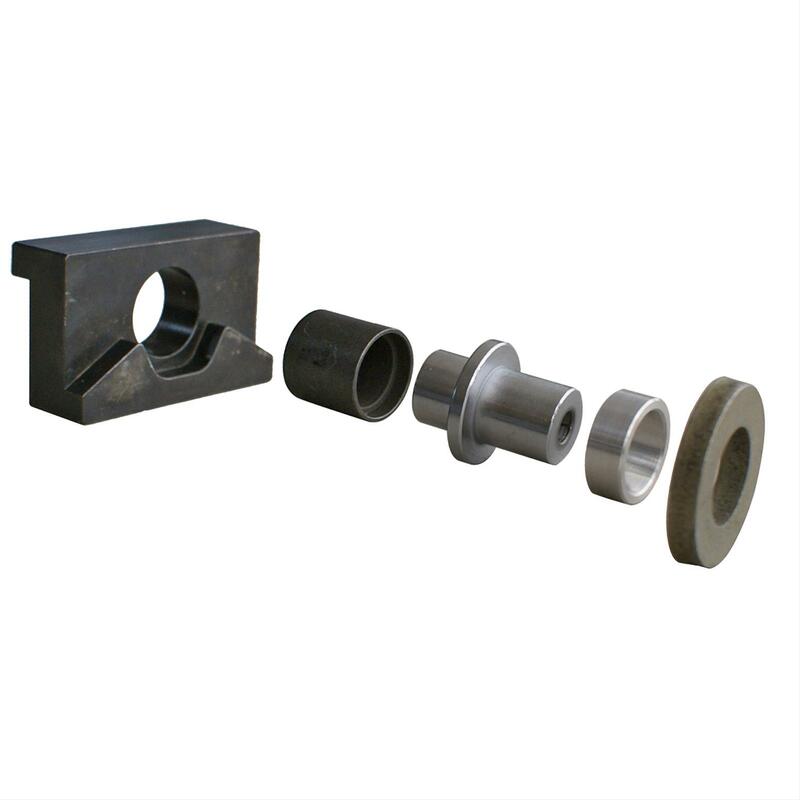 The greater surface area of the bushing will support 300 times what a stock needle bearing will. 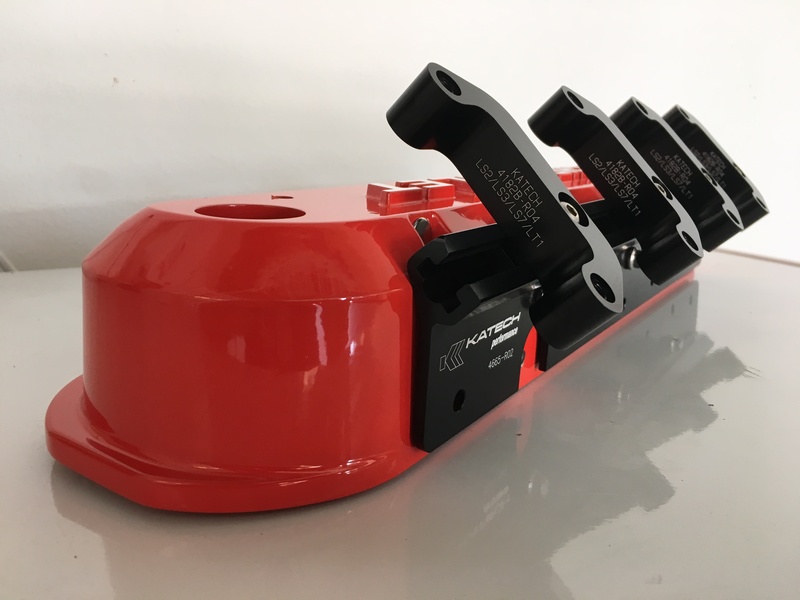 This kit will work on All LS rocker arms. This picture shows the stock rocker arm with the cages, trunnion and needle bearings removed. 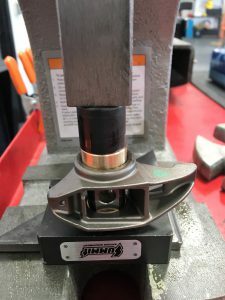 Pressing out the stock bearings can be done with a vice or small press. Summit Racing makes a specific tool kit that makes this a simple process. 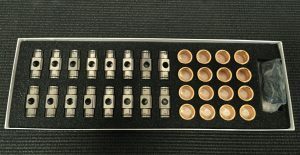 It consists of a jig and four specific press adapters. 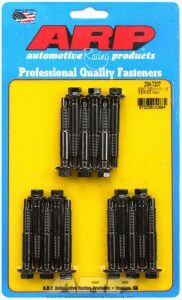 Summit Racing part number SME-906011. 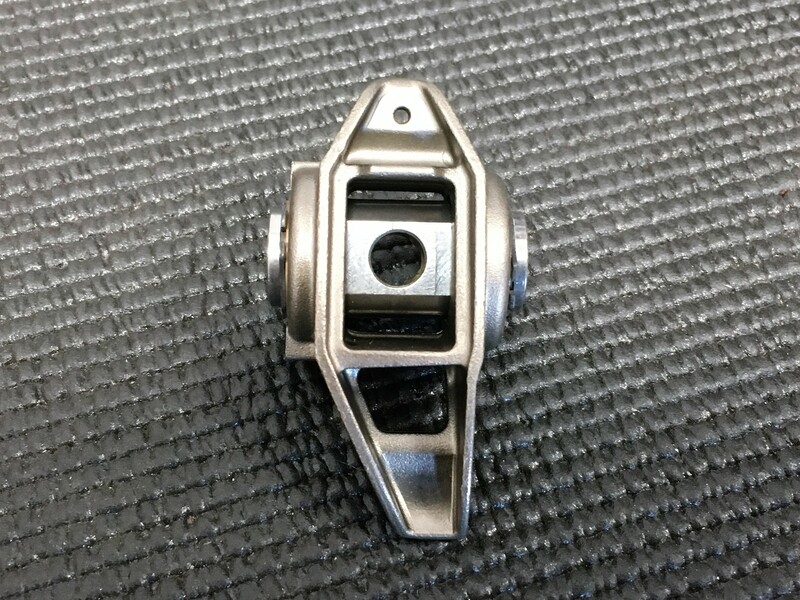 Reassembling the new components into the rocker arms is an easy process but must be done in the correct order and using the correct press adapter. Follow the directions in the kit. Once the bushings and trunnion are pressed into place the provided C-clips can be installed. 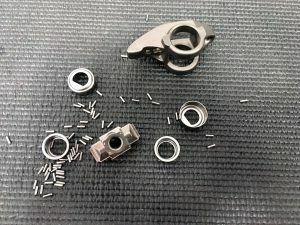 The Straub Technologies kit comes with new center mounting bolts which are a great upgrade from the OE bolts. 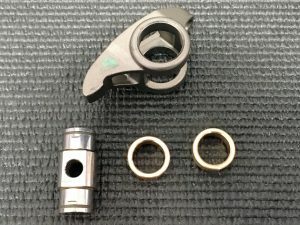 The LSX DR. has gone a step further to upgrade to rocker arm studs from ARP. 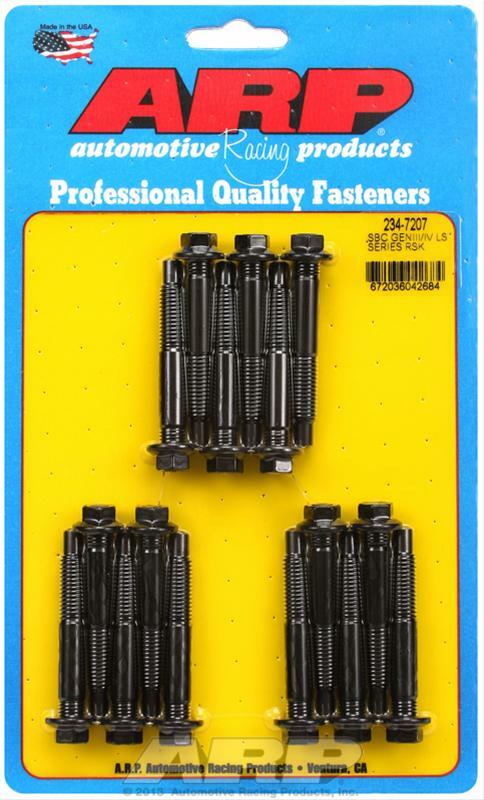 These studs are substantially stronger than the OE bolts. Upgrading to the rocker arm bushings and studs will eliminate the chance of needle bearings entering the engine and destroying vital engine parts. In my opinion this is one of the most important upgrades you can do to increase the reliability of any LS engine.